Apparently, life is like Pringles or Coke when I’m happy and Hacks when I’m sad. Until college life officially starts for me in Sunway College at PJ. If you ask me how I feel about this sudden change in my life -and let’s face it, that’s the only important question, is it not- I won’t be able to give you a definite answer. I feel scared, excited, worried and adventurous all at the same time. Scared because this is my first time being away from home for more than a month without my parents and excited because this is a whole new life!!! But I hate change. I’m a creature of habit, who’s comfortable with routines. There’s always this part of me that wants nothing to do with new, that makes me think I’m perfectly fine with my old, comfortable, stagnant life, but I know that could never stay that way forever. Amanda told me once, “don’t be afraid of change”, and I think that’s right. Change is inevitable, and it could sometimes be a good thing, although I might not see it yet. There’s also a part of me that thinks it’s okay to be scared…right? Because I’ll be out of my comfort zone and all that. Aunty Amelia also once said that I was the kind of person who was afraid to take the first step but once I did, I’d be okay, and I think that’s true, too. The same thing happened with my UK trip last month. As reluctant as I was to go in the first place (and I was really, really reluctant) I came home missing the UK so much. I just need that initial five seconds or 24 hours of courage until I can be okay with a certain situation. And that’s what I’m thinking about my first step into college. I won’t exactly be alone as I’m hoping to share an apartment with Yi Jing and Rumin but hey, when life gives you lemons, right? Gotta make lemon sherbet or some shiz. I’m also bringing a hella lot of things I’m practically moving my whole room there. Adaptations, yeah? Many people think that “being normal” -or normalcy, in short- stems from being perfect. Otherwise, why would people want to be the best, the prettiest, the richest? It’s not considered “normal” by society perhaps, per se, but it’s normal to want these things. But what some people don’t realise is that imperfections are perfectly normal too. It’s the most normal thing in the world, even. It’s okay to not be okay. It’s not okay to be forever and always okay without a hint of not-okay-ness. To put it simply, everyone in this world has flaws, and everyone makes mistakes, and that’s the most normal thing in the world. Normalcy is very subjective here, however. Some people don’t want to be the normal stereotype, they want to be weird and unique. That’s completely fine too. In fact, being weird and unique…is normal too! At this point, probably most of you are shaking your heads and wondering if I’m deliriously rambling but trust me, okay, this is going somewhere. Remember when I said normalcy is subjective? Well, normalcy to me isn’t what people commonly define as “bland, mundane and boring”, but more like what is being done by more than one person. So, safe to say, there is no one in this world who is truly alone. There is no point to this post, and it sounded way, way better in my head than when laid out in words. But ultimately the message I’m trying to spread is; when you think you’re abnormal and not of the norm, don’t worry and be fearful, because you’re you and that’s the most normal thing that anyone can hope for. 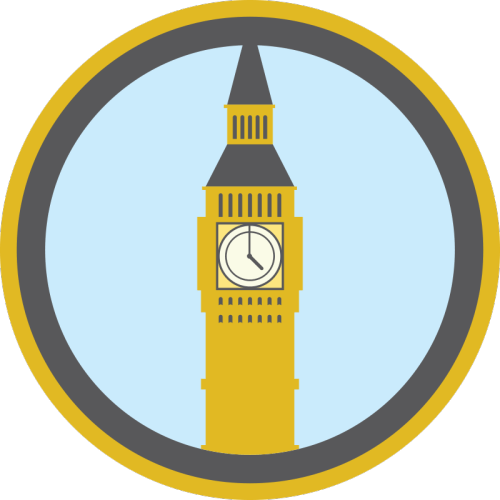 Big Ben badge. Obviously, I earned this badge last month during my trip to UK and even went to Alex Day’s booth itself to buy a physical badge for myself. I visited Big Ben at Westminster with Kenzie and his parents. It was nothing much, just a trademark building many people take photo with to show that you’ve been to London. You couldn’t really enter the Big Ben itself, so that was as interesting as Big Ben could get. But I’m happy I have this badge. I’m happy I have the bragging rights of going to London at least once in my lifetime. And if you haven’t been to London, you’ve been missing out, honestly. 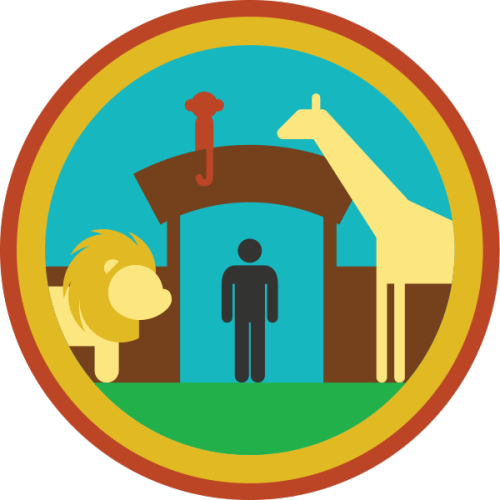 Zoo badge. The ultimate childhood badge. I’ve been to the zoo a couple of times. Not many times, but it was a good dose of zoo-sage for a kid like me at the time. I can’t quite remember the zoos I went to as a child, but I knew Taiping Zoo was definitely one of them. In 2011, I went to Taiping Zoo with a bunch of my other schoolmates as part of a Form 4 Biology educational trip, apparently. That was the only time I went to the zoo as an adolescent. And apparently Effie wants to bring me to the zoo when I go to KL, so that’s cool. 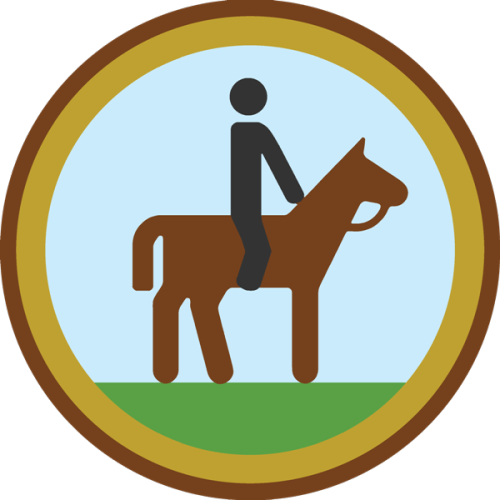 Horse riding badge. I think I’ve ridden two horses in my entire life. The first one was a pony, at A Famosa I think when I was about five or six. The second, much bigger horse was ridden at the beaches of Tanjung Bungah when I was about eleven, probably. Both times, I wasn’t a very good horse rider. It’d be great if there were equestrian lessons available widely here, though. That would be an interesting activity to delve into. 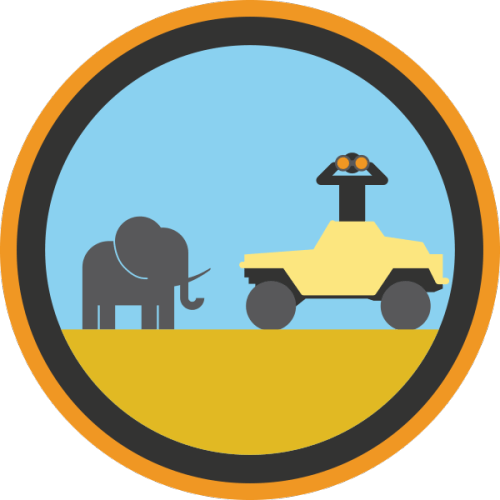 Safari badge. I’ve been on the A Famosa safari twice; once when I went there with my family when I was about ten and once with my schoolmates on a graduation trip when I was twelve. I’ve been on the Singapore zoo day and night safaris too, when I was seven, with my parents and cousins. 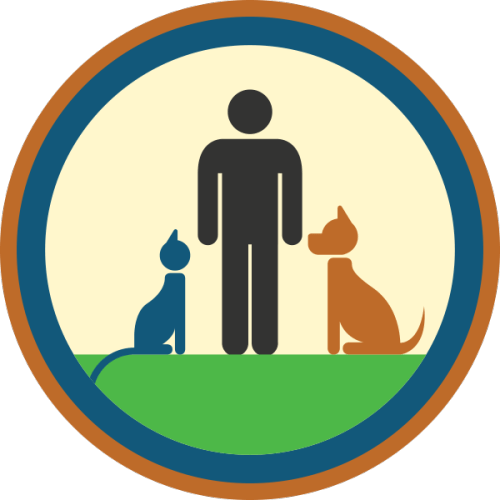 Pet-owning badge. Boy, do I deserve this badge. The only pets I’ve ever owned are dogs and fishes. No cats. Quite a shame, actually, because I kind of like cats too. I’ve owned about ten dogs my entire life, but currently I have two dogs. Golden is about 10 dog years and is a Golden Retriever, whereas Heart is three dog years and is a mixed poodle. They’re really different; where Golden is tame and obedient, Heart is ferocious and stubborn. But he’s the cute and small one so everyone spoils him. Life. 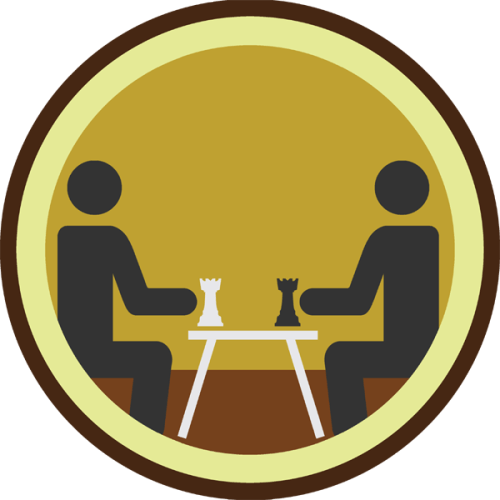 Chess badge. Not much to say here, since I’m not a professional chess player, but I learned to play chess when I was about nine years old. I loved it. I learned how to play Chinese chess when I was 12, but that I didn’t really like. My chess skills are pretty rusty now but it’d be cool to revive it. 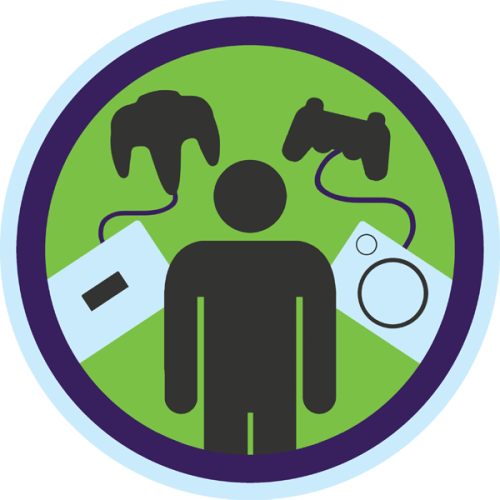 Video games badge. VIDEO GAMES. I was a Playstation nerd when the first PS came out, and the first thing I would do when I went to my uncle’s house was play the PS for hours. I used to play games like Crash Bandicoot and Puzzle Bubble and Tekken and really childish games. Same thing happened when I used to go to Joshua’s house. And then I grew up to become a girl (ooohhhh stereotyping here, guys) and my parents weren’t the kind to buy video games so I stopped playing for a good few years but I recently rediscovered my love for video games when I went to Beneh’s place after SPM for a good gaming session. That, and also because of Dan and Phil’s influence. 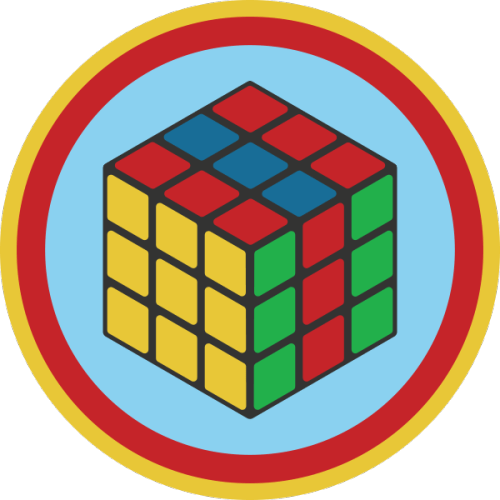 Rubiks cube solving badge. I KNOW HOW TO SOLVE THE RUBIKS CUBE!!! Or rather, I knew. Back in Form One or Two, I can’t remember, but the Rubiks cube was so popular among my classmates and literally everywhere you went, there were people solving it. Even during class. We used to have competitions to see who could solve it the fastest. That was when I picked up on how to solve it. I wish I still remember how to solve it, I probably do, but it’s been so long I can’t be sure. 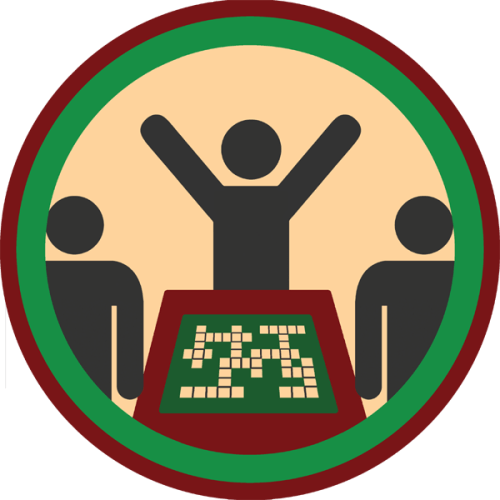 Scrabble badge. Scrabble used to be my favourite game. You can see I was brought up rather intellectually (cough). I haven’t played Scrabble in years, though. People these days don’t exactly turn to board games for entertainment anymore, do they? 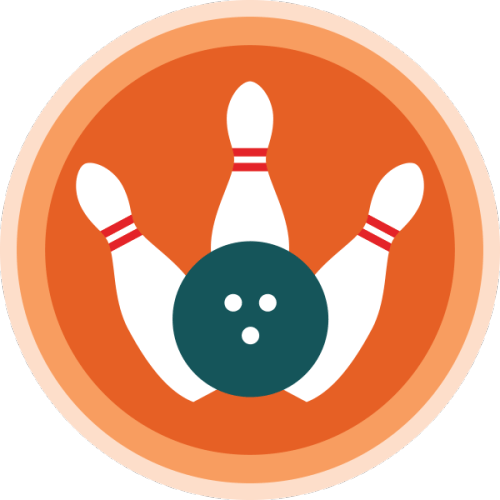 Bowling badge. I actually bowled for the first time in December 2012, when I followed Beneh and Putri and many other schoolmates of mine to Pacific after SPM finished. I mean, actually, really bowled and not just go to a bowling centre and watch other people bowl. I was terrible at it. I still am. I have terrible coordination skills and stamina so that was expected, at least. I went to PJ on Thursday and Friday, with my parents. A lot of people thought I would start college then, but no, I was just looking around the place where I would be studying and staying at. Always good to know new environments beforehand before you completely dive into it. Also, there are a few edits in my previous post concerning FAQAMCF which you might be interested to know. The whole college environment and having a college room to yourself was very…foreign. Everything was so brand new and different it felt surreal. The people, especially. One of the admins advised me to “make friends with KL people as they have different mentalities” and while I have many KL friends already myself, I still wonder how it’d be like to live with these people for 18 months. Quite daunting, if you ask me. I don’t know if I’ll be able to adapt. I know I did a one month internship at The Star but this was different. We weren’t a tight knit group. Not really. And these weren’t people I knew beforehand. Again, pretty intimidating. But the prospect of having a whole college room to myself is pretty exciting, I should say. Also daunting, but nice, because I can decorate it however I like and it’s something I own. Mine. Makes me feel pretty adult-ish and independent. I don’t know, honestly. The whole going to college thing makes me feel excited and scared at the same time. Ready and unready. I can’t tell. It’s a mixture of both. Oh well, just like the title suggests, it’s time I expand my horizons and explore the world, right? Well, I did a fair share of exploring the United Kingdom, maybe I should explore my own country, too. My birthday is in 27 minutes! Friendly reminder, guys.